Full of flavor, these wraps are a snap to make. 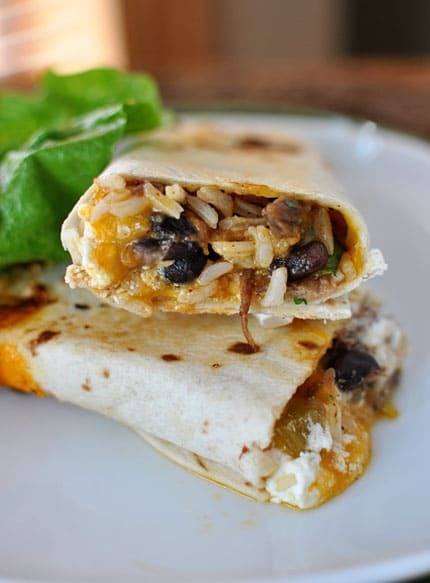 The method turns out a delightfully crunchy tortilla that is filled with rice, chicken, beans, spices and cheese. And they make great leftovers. Healthful, fast, delicious!